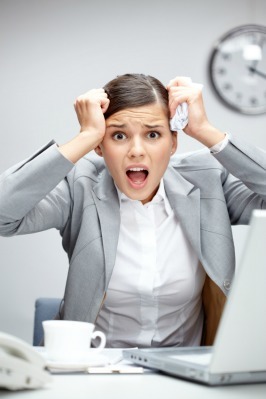 Is Building Your Internet Marketing Business Proving Shockingly Harder Than You First Thought? If it is, don't worry. That is what happens to all of us when we first attempt to build a profitable internet marketing business. The so called gurus convince you that all it takes is a special 3 click software wonder for you to start making thousands of dollars before the end of this week. And it only costs 37 bucks! It’s this sort of junk that drives you down a rabbit hole of continuous failure and lack of progress. Have These 7 Problems Prevented Your Internet Marketing Business From Making Any Real Progress? x You don't know which software to use to build your website. You see, the fact is that the software you use can dramatically affect how much traffic you get. For example, software A might submit your new pages to search engines more frequently than software B. That means your traffic will build faster with software A. If you have any of these problems, the good news is that I can definitely help you. I have the information you seek, information that is based on years of “expensive” experience. After having read pretty much everything floating around on the net and having tried out several strategies, I can tell you what works and what’s nothing more than wishful, unrealistic thinking. In fact, this website will reveal real world information that you can use to start changing your situation right now. üYou will learn how to automate your online business in order to free up as much of your time as possible so that you can focus on doing the specific things that actually bring you more money. üYou will discover how to avoid all the costly time consuming mistakes that I and several other internet marketers made when starting out. This could drastically increase the speed with which you succeed. üI will reveal several effective traffic generation strategies that will enable you to create multiple streams of targeted visitors to your internet marketing business. üYou will get massive free exposure for your business by getting the opportunity to contribute your views, opinions and success stories to this website. So you will piggy back on my success for free! üYou will find exclusive persuasive reports that you can insert your affiliate links in and distribute in order to make instant commissions and build your list. üOver the course of time, you will discover specific internet marketing courses that I have taken in order to affordably gain the ability to build my online business from scratch. üAs an extra special bonus, you will also get access to a MASSIVE package of quality resale rights products that you can sell in order to start making money online as quickly as possible. These are not random useless products. I can sell them and sleep well at night. So you might want to check them out. You will get this and a whole lot more strategies, tools and insider information based on several years of trial, error, and sweat. It Took Me 5 Years to Discover That This is The Best Way to Get Started Online. Now I Need Just 5 Minutes of Your Time to Prove it. And don’t worry I’m not selling any product of mine or getting paid any affiliate commissions. So if you want to start building your online business today, I really recommend you start by reading my Get Started Report right now. This is what I read and did in order to build my online business from scratch so I KNOW for a fact that it can work for you as well. Seriously, you can laugh at online business worries forever if you just follow this simple and proven advice. If on the other hand, you are looking for specific information about how to get started online and you feel you want to educate yourself further on the fundamentals of internet marketing, the various strategies to use, the multiple paths to online success and the several internet marketing systems available, then feel free to check out any of the categories of information on the navigation menu above. We’ve got you covered. Last but certainly not least: This is How You Can Severely Reduce the Time it Would Otherwise Take You to Build a Thriving Internet Marketing Business. And it’s simple. Subscribe to my information packed weekly newsletter below. I really do reserve the best information for my subscribers. I reveal higher lever information like specific joint venture partners you can approach in order to get your product sales seriously rolling. Or where to get affordable and targeted advertising directly from website owners who get tons of traffic every day. Or the blue print that I personally use to build ever increasing traffic to my website. This is the sort of information that can rapidly change your internet marketing business. So I really encourage you to do yourself a favor and become a subscriber today. You won’t regret it. Give your Internet Marketing Business an unfair boost!